Depeche Mode are one of the few bands of the early 1980s still to be together and releasing material today. This show features the classic line up of Dave, Martin and Andy with Alan Wilder, with Depeche Mode on their world tour in support of their 4th album Some Great Reward. The tour started in September 1984 in the UK around the time of the album's release date, and ended some 10 months (and 83 shows) later in Poland after taking in the UK, Scandinavia, Europe, Japan and North America. 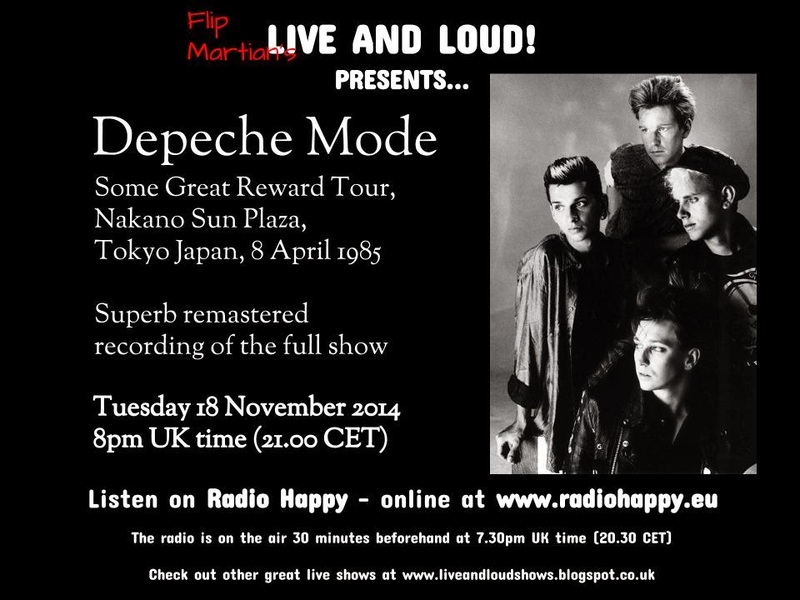 In April 1985, Depeche Mode were in Japan and that’s where we catch up with them tonight, on the second of 4 dates. Depeche Mode, live from the Nakano Sun Plaza Hall, Tokyo, from 8 April 1985...live and loud!